YOU WON’T MAKE A DIME FOR YOUR EFFORTS! So, if you are anything like me then you probably came across ConcernNews.com via a post you had seen on Craigslist. The craigslist listing claimed that you can make thousands per week just by reading the news. However, many of you are also like me where you want to know if ConcernNews.com is a scam because it just seemed too good to be true. So, let’s find out how legit it really is! As stated on the ConcernNews.com homepage, this website is willing to pay its users up to $7-$9 for reading news articles and is even willing to pay up to $150 for every person that you refer to the program. Just on the Craigslist postings and website only this site makes it seem that you can earn thousands of dollars a week by doing easy work. As good as this opportunity sounds, it is not all that it is cracked up to be. How Do I Know ConcernNews.com Is A Scam? Look, I have reviewed so many of these news sites that to be honest I am getting sick of them. They just keep popping up faster than I can review them. However, there are many reasons as to why I know for a fact this website is a 100% scam. Let’s just look at a few of those reasons. If you look at the homepage of this news site and compare it to other news sites, you will see they look IDENTICAL to one another. 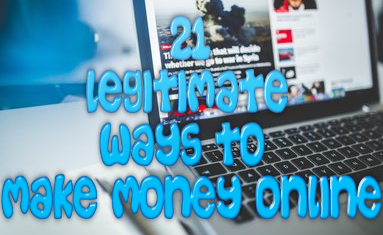 Upon closer look you will also notice that these other identical looking websites have a reputation and history of not paying their affiliates the money they are owed. If these sites have this kind of reputation, who is to say that ConcernNews.com won’t follow this same pattern? If you are anything like me then you know exactly what most common news articles look like. Mostly they are a couple of paragraphs to a few pages in length. The fact that this site’s “news articles” are only a sentence or two in length, it makes you ask the question, can I really make a ton of money by reading so little? The truth is no, you cannot make thousands of dollars per week by reading news articles. 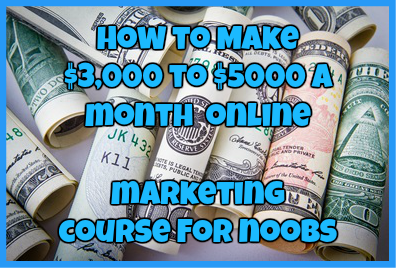 Sorry to break it to you but it is not that easy to make money online. I have been working online for a couple of years now and I can tell you from my own personal experience that the price of $150 per referral is absolutely ridiculous. Just think about it. If this were true then that means the owner of this site forks over $100K a year to each affiliate. That equals to a couple of million a year. The math just doesn’t add up. Furthermore this is the very first affiliate company that I have ever come across that claims it will paying this much just for referrals. Sure you can make this much off a sales commission on a high paying product, but not for simply referring someone for free. Both PayPal and Scam Advisor have warned visitor of this site that it is indeed a phishing scam, one that every person who signs up to it is at risk for even if you currently do not have funds in your account. All of the other sites I have reviewed fell under the Phishing scam category and I am not really surprised that this one has as well. I have reviewed so many of these websites that I am getting sick of them and I feel sad that people are still falling victim to these sites. I know for a fact that this website is a scam and even if you promote the heck out of it, you will not be paid for your efforts. Save your time and energy and promote a program that is actually going to pay you and not steal from you! Have you fallen prey to the ConcernNews.com scam? If so, I would love to hear about your experience! Just drop me a detailed comment below. ← News-General.com: Is This Another News Scam?